One of our family Christmas traditions since my husband was a small boy was making home-made hard candy to share with the friends and family. So this year I wanted to share the tradition with my Daughter-in-Law so that she could make the candy with my granddaughter when she gets just a little older. I also though we could use silicone molds that I bought several years ago to make the candy into fun holiday shapes.Then YouTube took the whole candy making for kids (and some adults) to a whole new cool level. I watched the attached video and had to add these wonderful Lego molds to my collection and start making Christopher’s favorite flavor of candy. Candy flavoring comes in small bottles of oils that can be used for making almost anything that you eat with out the use of alcohols that are in most extracts. The flavor and color are concentrated in each bottle. So for every batch of candy you need one bottle of your favorite flavoring. I made a total of 5 different flavors this year, root beer, apple, orange, cinnamon, and butter scotch. Each batch is about 1/2 of a pound of finished candy and that is every mold you see above filled to at least half. I did reduce the amount of syrup in the heart molds to half full because they were very hard to remove and to big to pop in your mouth. Then after pulling the candy from the molds it is wise to dust them with powered sugar so that they will not stick together and this is really important if you want to mix the flavors into gift bags. They will not store for long in high humidity without it. Hard Candy ready …This Bag is mine ! So here are the very easy to fallow directions on how to make hard candy and the way to test your sugar syrup with out a candy thermometer…Each box of flavoring comes with a recipe booklet for several things you may want to use this flavoring for. The hard candy recipe is also on the back of the box. food coloring or gel… gel does not seem to burn at these high temperatures. Combine sugar, corn syrup, and water in a 2 quart saucepan. I use my cast iron dutch oven. Stir over med heat until sugar dissolves. Bring mixture to a boil without stirring. When syrup reaches 260 degrees F. add coloring. Do not stir ;boiling action will blend color for you. Remove from heat at 300 deg F. When drops of syrup form a hard brittle threads in cold water ( Hard Ball stage). When boiling action stops, stir in flavoring. 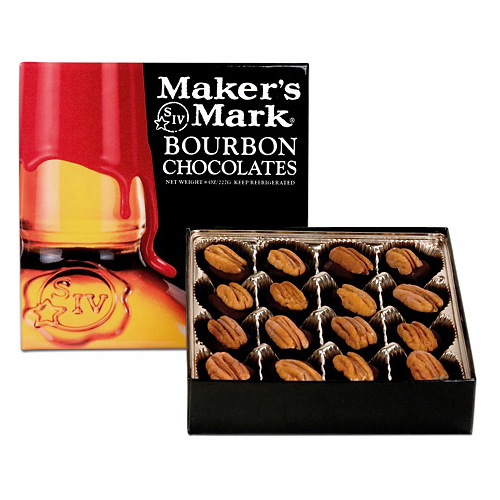 Pour syrup into lightly oiled candy molds or on a greased cookie sheet. 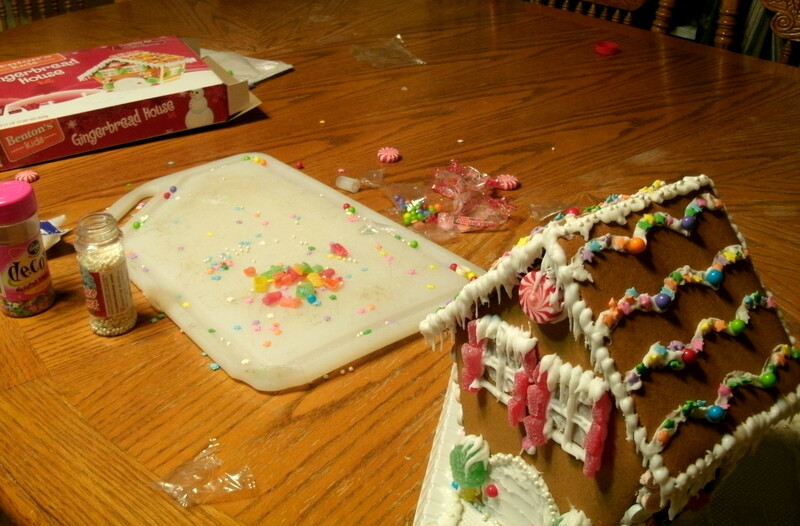 When cool break into pieces and dust with powered sugar to prevent sticking. Store in an air tight container or Ziplock bag. After the sugar reaches a rolling boil I added my gel food coloring of red in this batch… I think I used about three little drops to get a nice light red color. Now the wait is on. I raise my burner heat at this point to med high or about 8 this decreases the amount of time it takes the sugar to reach the crack stage. The syrup will go from what looks like water boiling to a foamy tinny bubble stage as it heats then finally when you reach about 300 degrees the syrup will have large clear thick bubbles all the way to the edge of the kettle. This process takes about 10 minutes if you do not stir the syrup, longer if you can not resist the urge to stir. When you think you are close to the correct temperature, or any time you are nosy, you can check the stages of the sugar with a cold water test. Fill a clear glass over half way full of cold water. With a non plastic spoon, preferable a wooden one, drip a small amount of syrup into the cold water…. DO NOT GET THE SYRUP ON YOUR SKIN IT IS VERY HOT AND STICKY! Burns will happen and skin will be lost when the sugar sets up. If the syrup looks like this it is not ready yet. Cold water test for hard candy soft ball stage not ready yet. wait a while longer and test again. When the syrup is ready is will almost instantly get hard… threads of what looks like glass will appear on the glass, in the water, on the counter… just about every where. Remove kettle from stove and let the sugar cool until the boiling stops add flavorings and stir. It may pop and hiss a little when you add the flavorings but should not burn. Then pour carefully into molds or a cookie sheet for breaking up later. I did not spray any of my molds and the released fine… if working on a cookie sheet of metal I would spray with a cooking spray. silicon baking molds used to make hard candy. You can see the sugar threads here between each tray. Let the trays cool for several minutes I left these for about 30 minutes. Then remove and dust with powered sugar. We rub off the excess sugar and put in a Zip Lock bag. Then after every flavor has cooled I take handfuls of the different candy shapes and flavors and fill small treat bags. Each bag had at least one huge decorative candy in the bag and about 15 smaller pieces. The Snow Men and Large Lego man were my favorite to add to each bag. I understand that they are too big to fit in you mouth but they look great when arranged in the window of the gift bag. They can still be eaten but would need broken into smaller pieces. So after about 2 hours my Daughter-in-law and I finished up started to clean up my sugar covered table and finally tasted our hard work. It all tasted great and my favorite is always cinnamon. The joy of making this candy is it is great for parties at Halloween you could make grape purple bats, or orange pumpkins, at Valentines day make red cinnamon hearts, At Easter make pink or yellow eggs and share them. Use the large pieces as edible cupcake topper or cake decorations. The ideas are limitless and if you want you can also make the Gummies that are in the video below… so Silicon Molds are some of my favorite kitchen gadgets and always spark my creativity. One of my favorite things about having kids is doing things together that they will remember when they are old and gray. I try to spend time with my sons doing creative things that we will both like to do too. 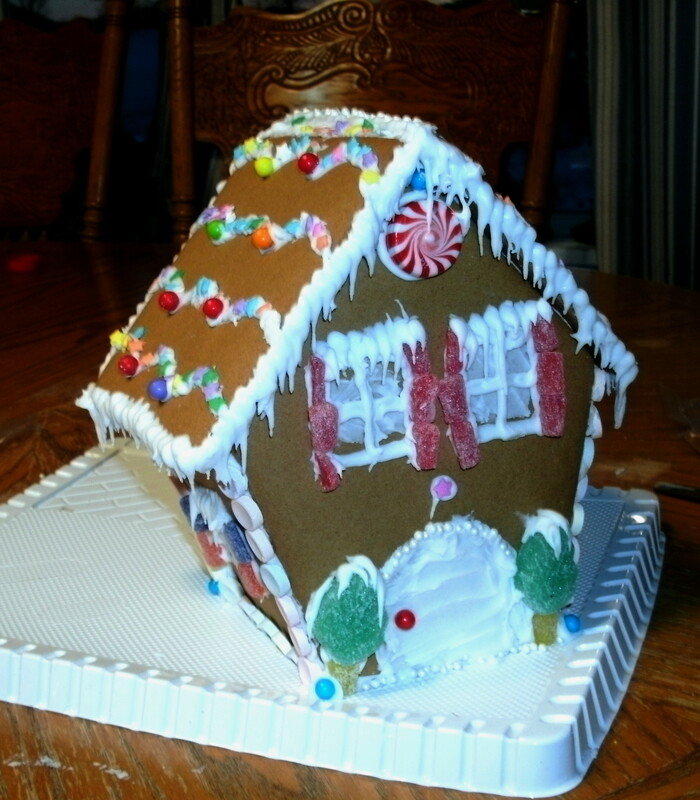 This seems to always involve food or building something so we finally found a way to combine the two, gingerbread houses. I am now hooked and will be looking at other houses for ideas. We cheated this year with a kit house and some stale candy from Halloween. 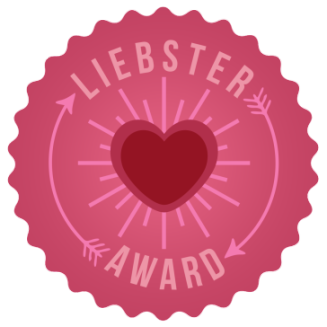 I learned tons and am thinking of already making another one from scratch. The two houses my friends Jacquelyn has written about her Blog http://quiltofmissingmemories.wordpress.com/2013/12/07/one-sweet-forecast/ made a real impression on me and I hope to get an idea as nice as her “Dance Studio” house for the kids to build in the future. I am sure that I would end up dragging Tom into it also… He could draw out the plans on butcher paper and I would cook the cookies and make the icing. 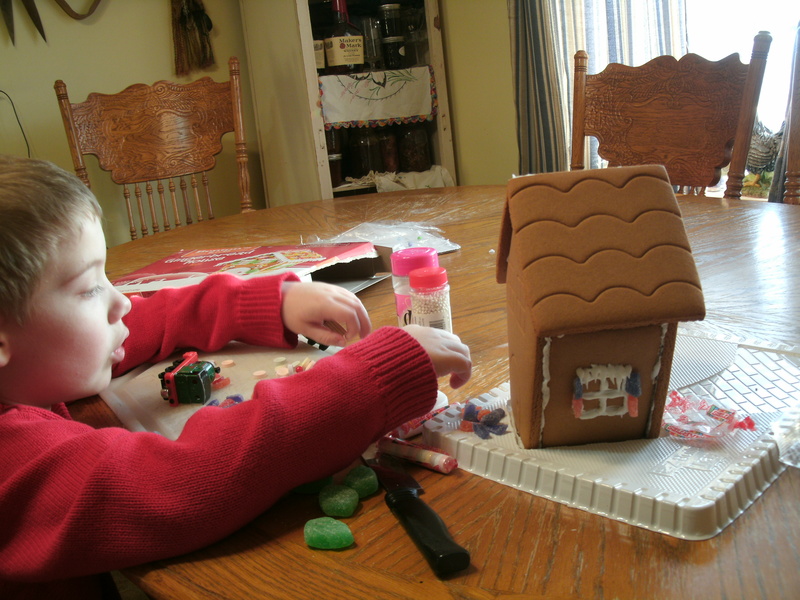 My older son suggested that we make a barn and I am thinking that would be great if I can maybe make it with animal crackers we decorate or find some cookie cutters in animal shapes… the ideas go on and on. But in the end it was all about making memories with my son and having fun on his Thanksgiving break and spending family time together. Then after all the fun is over mom still gets to clean up the mess. Kids Getting to Much Easter Candy? How to use it up. One of my Pet Peeves in this life is people giving my children candy all the time. I even dislike getting candy from stores,banks and even Grandma. I know this makes me the “MEAN” mom… The one who says no to a lot of free junk food, but I feel it is my job to watch out for my family and their teeth. I come from a family with genetically soft teeth. We don’t get cancer or strokes, we just suffer from cavities on huge scale. Even with proper dental care my siblings and children just have more overall oral health problems then most. When Easter rolls around I cringe at the thought of all those chocolate bunnies, jelly beans, and Peeps. I have over the years tossed out thousands of dollars of candy given to my two sons as gifts. 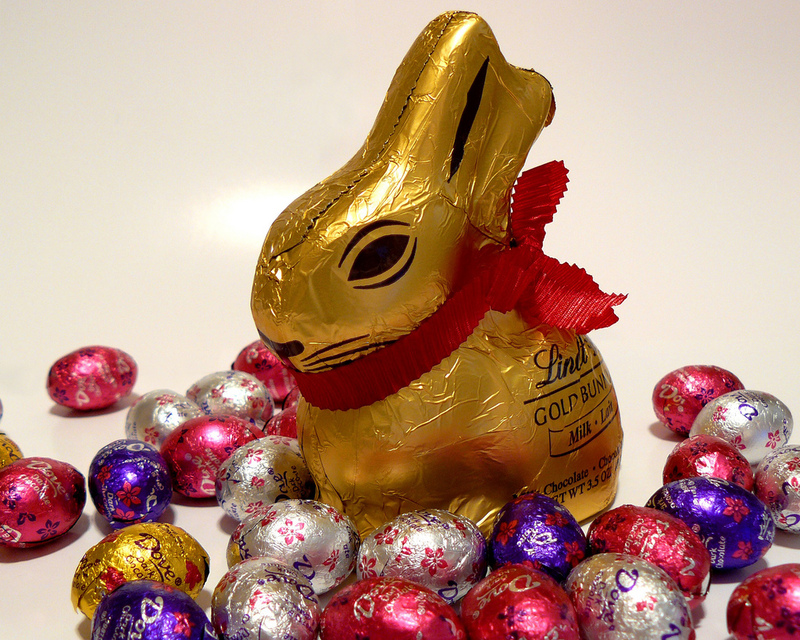 This year was unusually bad when it came to chocolate. My younger son received around 3 pounds of chocolate in the form of bunnies, crosses and M&Ms. This does not include the Ring Pops,Gummy Bears, the malted eggs or Peeps found in his baskets. People, theirs a limit to how much candy a four-year old should eat. So after receiving all that chocolate, I just started freezing it. I knew that at some point it could be used later. This Mothers Day seemed like a good time use up some of my hidden stash. Christopher and I made chocolate chunk cookies for the holiday and with the help of 6 adults and 2 kids we all enjoyed the chocolate. I have named these cookies “Easter Chunk Cookies”. My recipe comes from the “Better Homes and Gardens” New Cook Book of 1981 and 1992 publication, page# 128. 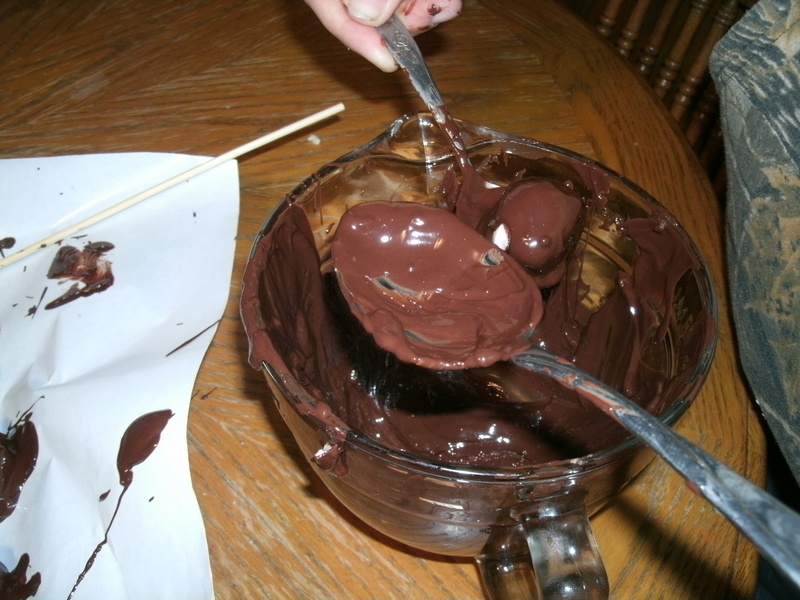 Gather all the ingredients and begin to warm the chocolate if frozen. 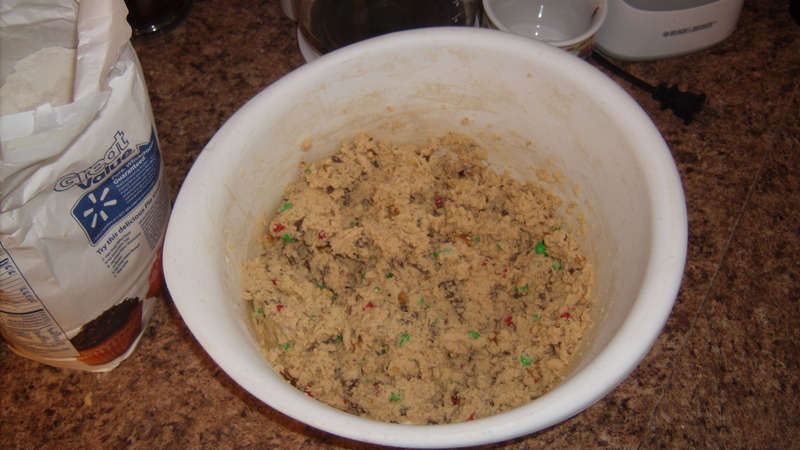 I have to admit that I make cookies all in one bowl just like my mother, so my photos of the process may appear backward to what is the “Correct” way to add ingredients to the mix. 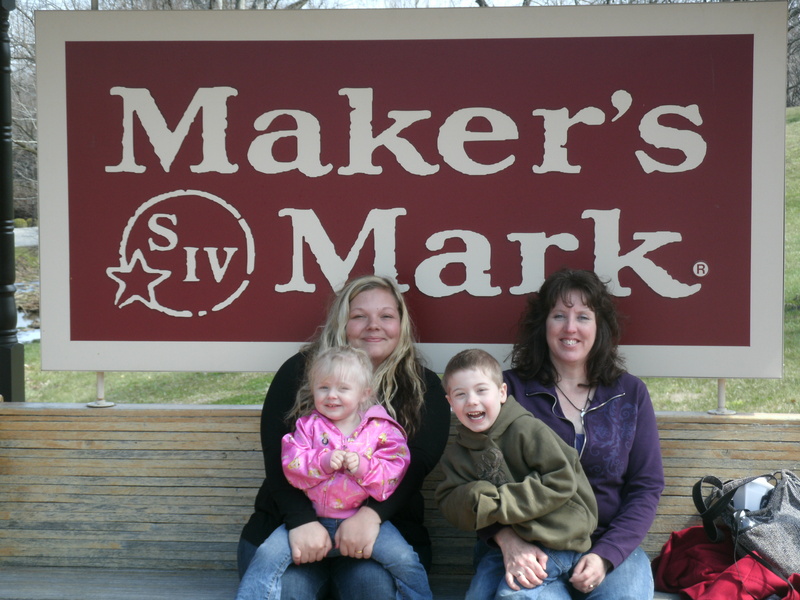 Mom,I make them just the way that you taught me. Frist into the bowl is butter and shortening at room temp, then the white and brown sugar. Cream together until light and fluffy. I then add eggs and vanilla and salt cream them into butter mixture. 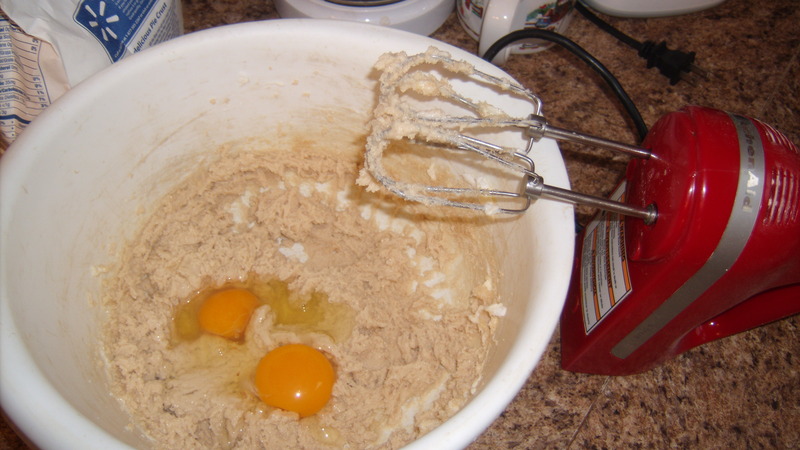 I then add 1 cup of flour and mix, then baking soda and then the rest of flour and mix well . Then I add the chocolate, nuts and candy. 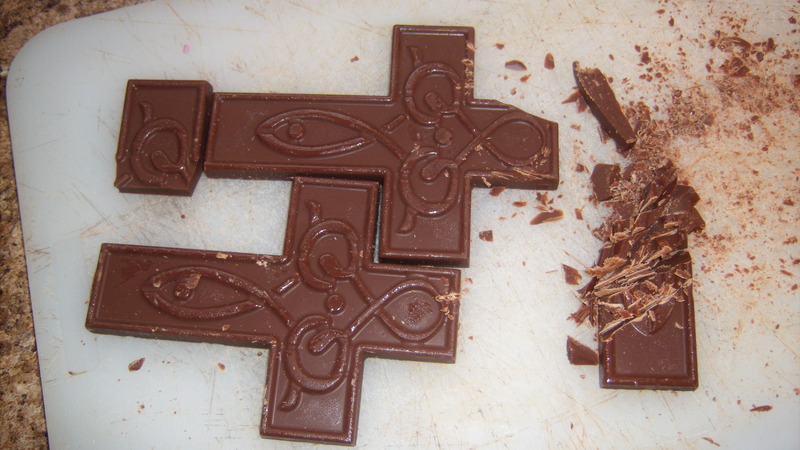 As you can see above the chocolate Crosses are thin and even with three they only produced about a cup of chunks. 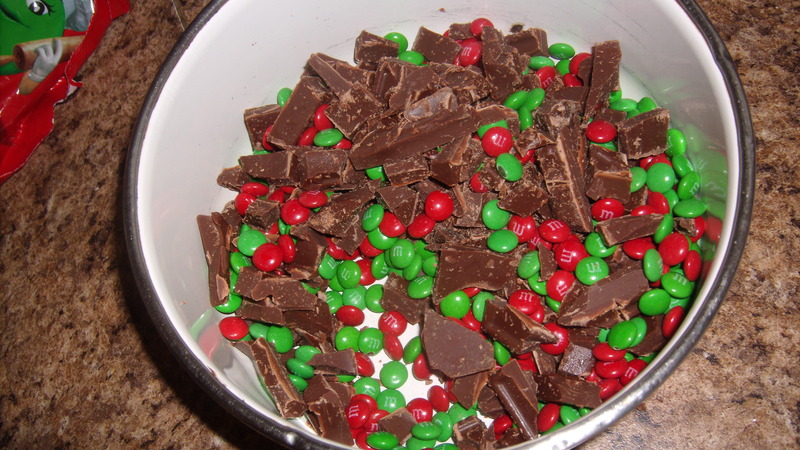 So, I added more left over candy, in this case mini M&Ms from Christmas. 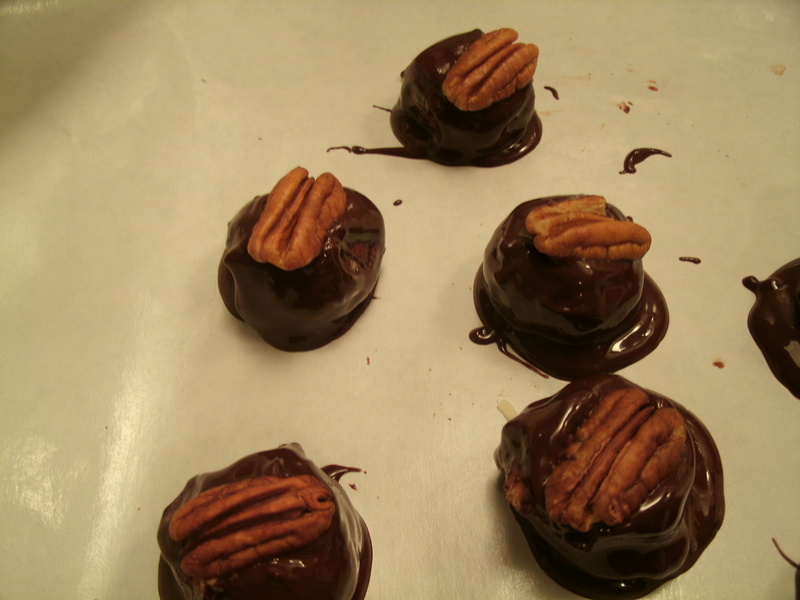 The two together made about a 1 1/2 cups of chocolate and then added a cup of chopped nuts to the batter. 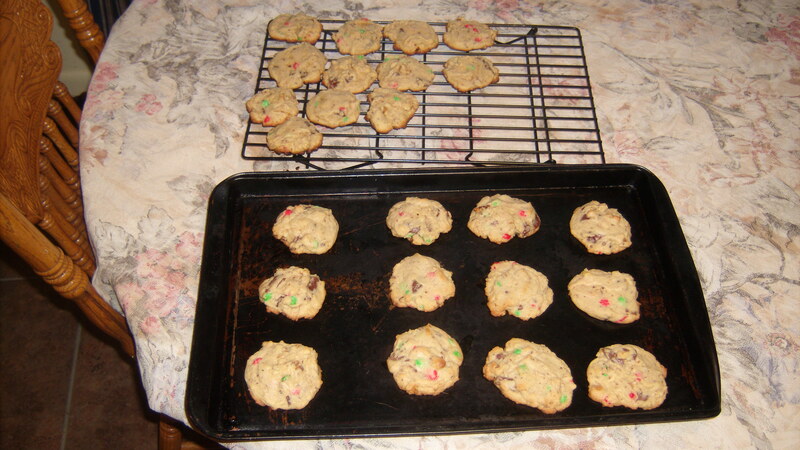 I dropped a tablespoon of mixture on a cookie sheet and baked them at 375, for about 10 minutes about 2 inches apart. 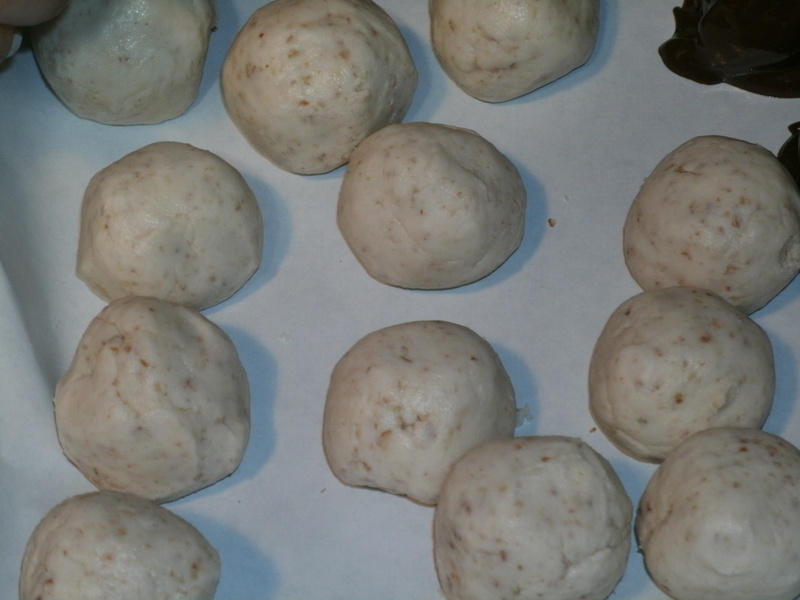 The dough is soft and chewy in the middle but crispy and lightly brown on the bottom. We ended up with about 2 1/2 dozen cookies and I spent nothing for any of the chocolate and that saved me about 4 dollars on one batch. I still have about 1 and 1/2 pounds of left over chocolate in the freezer and a huge bag of jellybeans. So more ideas to come. 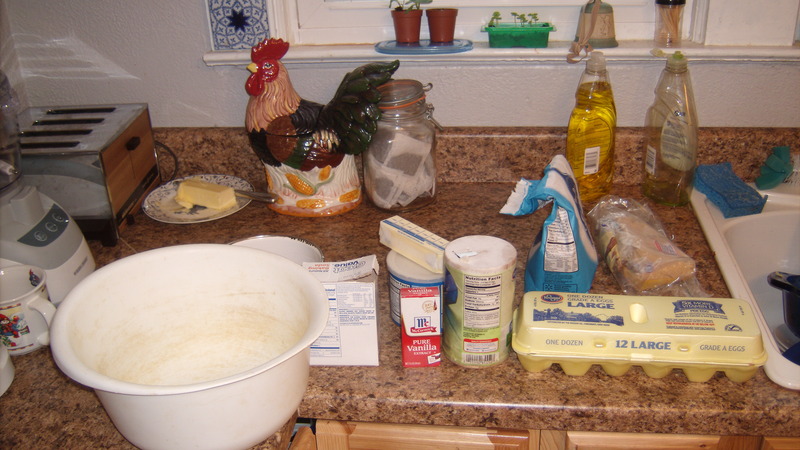 Here is the ingredients for my “Easter Chunk Cookies”. I hope that the next Easter candy recipe that I post is for Jelly Beans and what to do with 2 pounds of them. 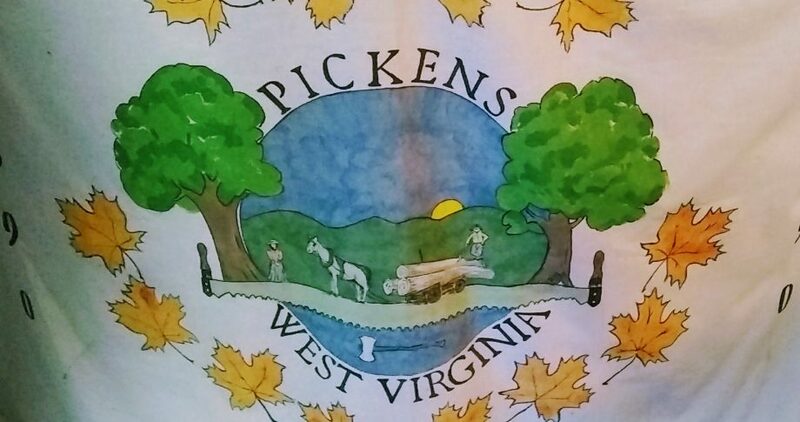 Maybe by July, I will have used most of them up and shared them a company picnic or some other large group gathering.